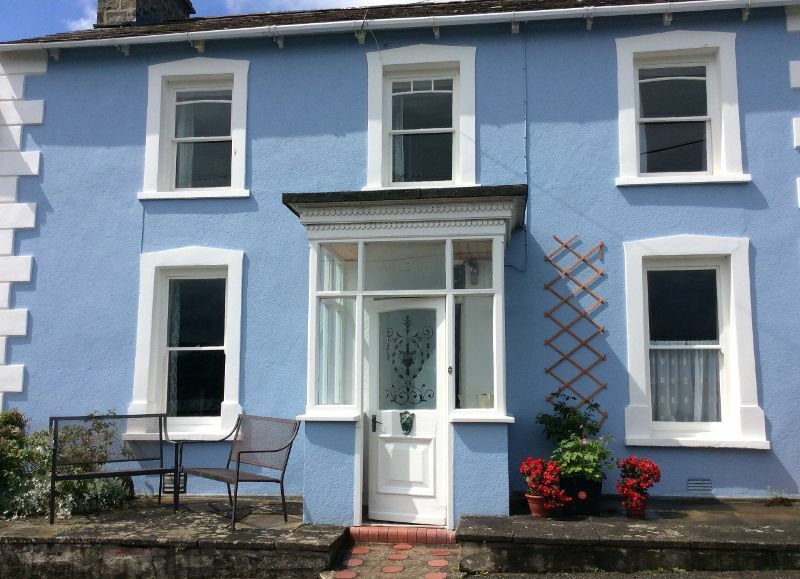 An attractive and spacious holiday home to let on New Quay’s popular terrace. 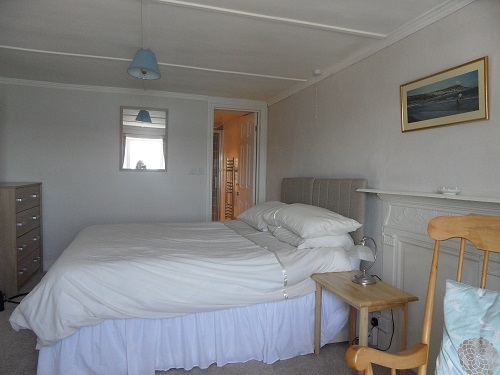 With spectacular sea views. 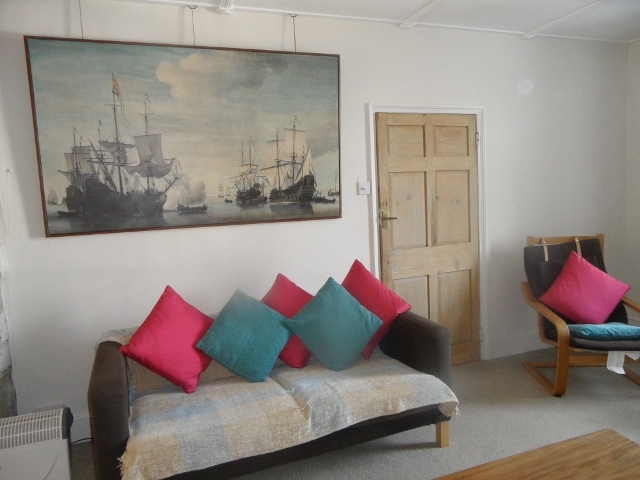 In an ideal position; within 2 minute walk of sandy beaches, pubs,shops, restaurants, the harbour and the heritage coastal walk (in both directions). 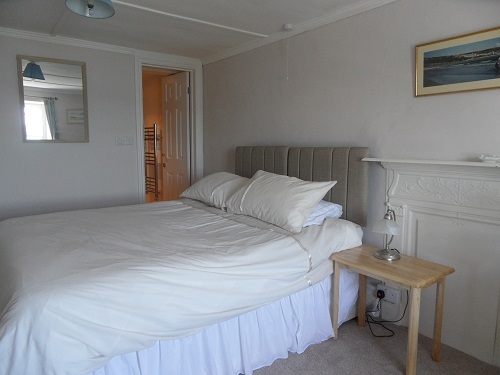 All bedrooms and lounge have sea views. 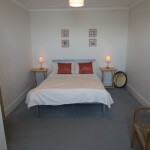 Downstairs double bedroom and w.c.
Linen Hire available off peak. 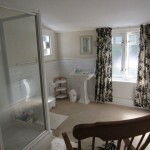 2 Shower/Bath Mats and 2 Tea Towels provided. Enquiries Welcome – Please complete and send the Enquiry Form below. 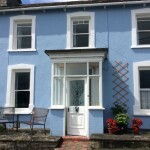 As ever, had a fabulous holiday in New Quay. 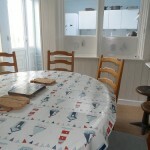 We loved the house – it was spacious, comfortable and very well equipped. 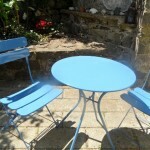 The terrace was fabulous for eating out in the evening sunshine. 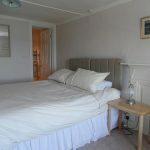 The location and views were excellent – in the centre but quiet and the availability of on street parking was a bonus. 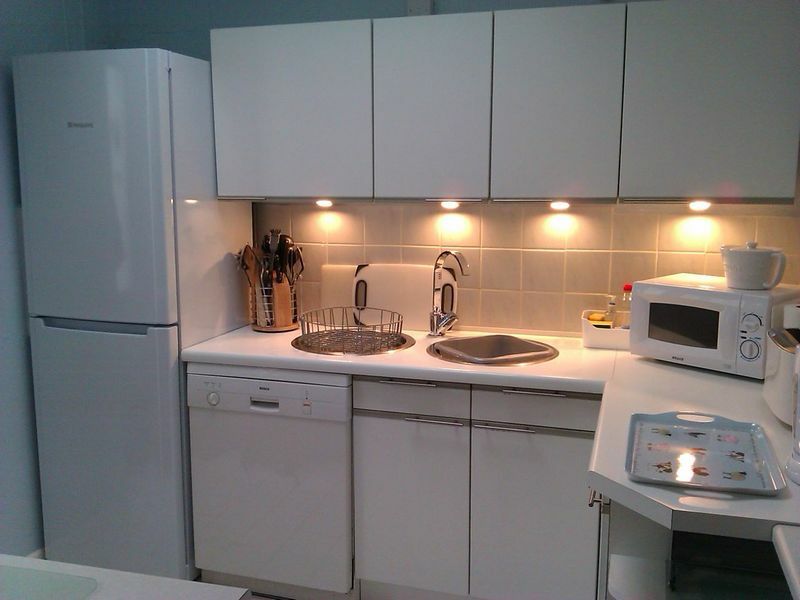 We have already booked Arvonia again for next year. Lovely family holiday, on the beach everyday ! Boat ride to see dolphins, we saw 7 ! Children so exited ! Great pastie shop and ice creams ! 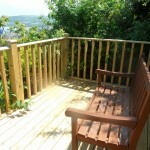 Decking in the garden great with lovely views of the bay and harbour. P.C. and family (Lichﬁeld & Bristol). R.D. And family (Essington) 4/6/2016. 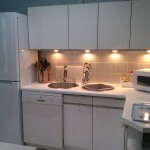 “Thanks for another lovely week at Arvonia. Weather mixed but lots of great views and walks, Edward (2.1/2) really enjoyed the sea and sand ! “. 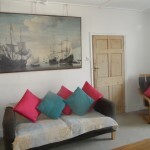 Arvonia has a lovely homely feel to it, and New Quay is a charming little town. We walked along the coastal heritage way, it was beautiful, the children had a great time on the lovely safe sandy beaches, all within a stones throw of the house. I loved sitting on the jetty watching the boats in the Harbour, and then a bonus the dolphins appeared ! Amazing ! yet again a lovely holiday. Thank you. 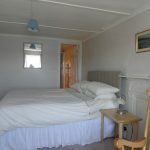 Large spacious lounge with sea views, coal/ wood burner stove, flat screen TV with free view and DVD. 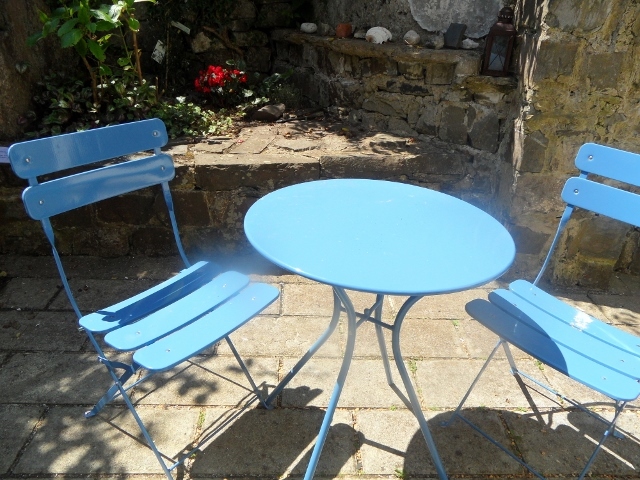 French windows leading onto sunny/sheltered patio with chairs and table. Steps leading up to garden terraces. 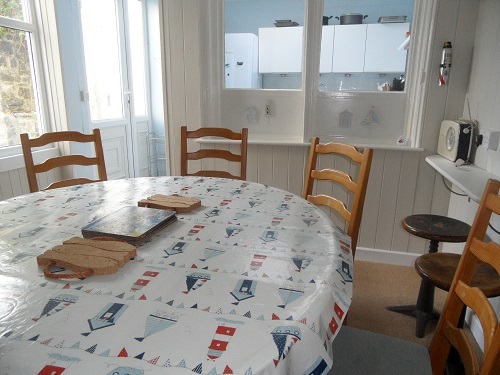 Door leading to patio, and door leading to separate dining area. 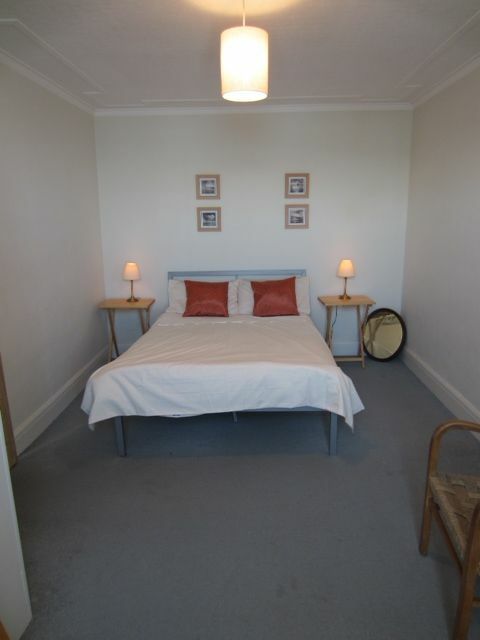 Spacious double room with large wardrobe and separate chest of drawers. Sea view. 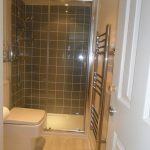 All bedrooms are equipped with washbasins, chest of draws and clothes hanging space. 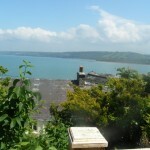 All have beautiful views of New Quay bay and the Harbour. 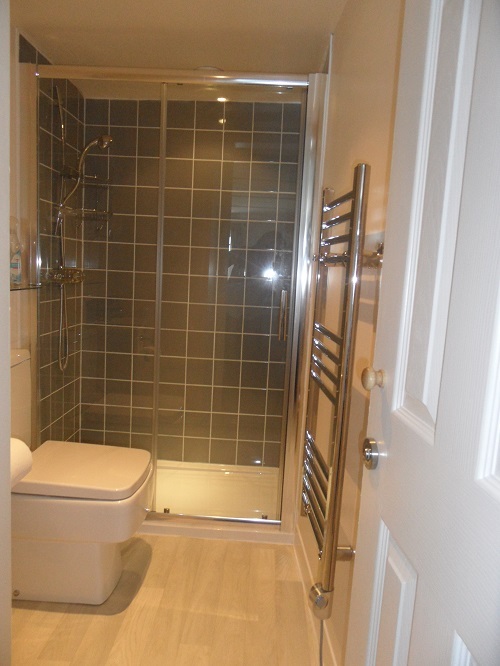 Bath, basin,and heated towel rail. Patio with steps leading to enclosed terraced garden. 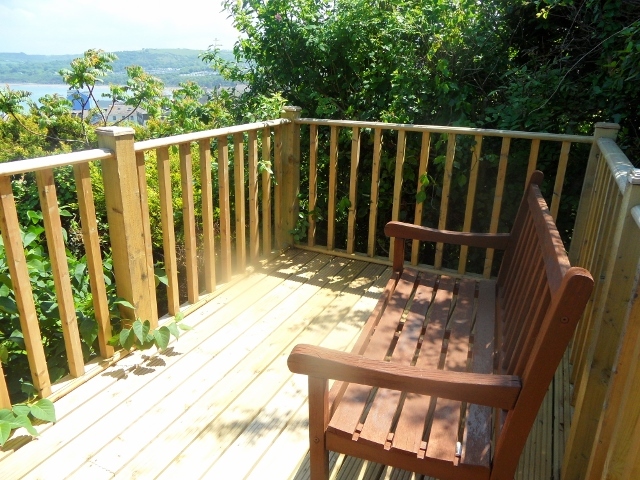 3rd terrace: decking with panoramic views of Cardigan Bay. 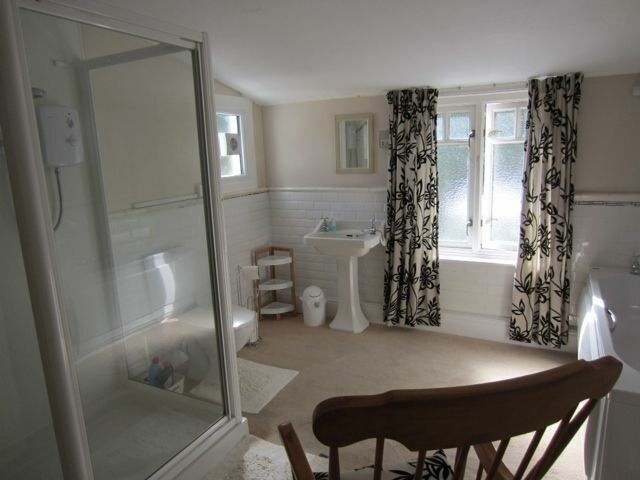 With seating area to relax and enjoy a drink ! 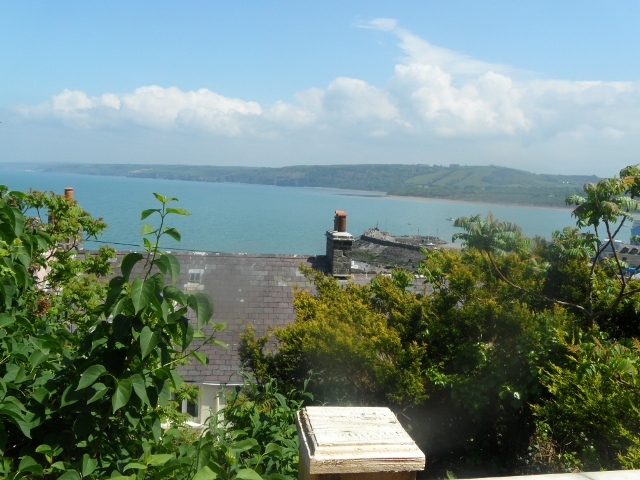 New Quay has it’s own resident dolphins that when swimming in the bay, can be easily seen from Arvonia, or take a boat trip from the harbour. There are three beautiful sandy beaches ( two of which allow dogs all year around). The main beach has been awarded the blue flag. The closest beach is Dolau Beach which is just below Marine Terrace and is great for children and dogs. There is a local bus service for trips up and down the coast and don’t forget the lovely walks along the coast for bird watching (red kites etc) seals and dolphins. To enquire please send an email using the form below.